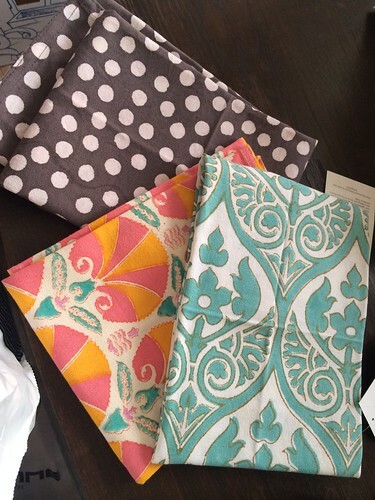 My favorite tea towels (kitchen towels) are made by Bungalow. I've bought mine from Illums Bolighus in Copenhagen - these ones were just picked up last week, but I have three more that I bought last summer. I love that they're so bright and fun, but they're also really good towels. They're block-printed by hand and very reasonably priced. Swedish customers can find some of the at Broarne. Fina! Illums finns ju också på Emporia i Malmö, om man har vägarna förbi.